We had a fun demo for the Red Hat Ladies today! 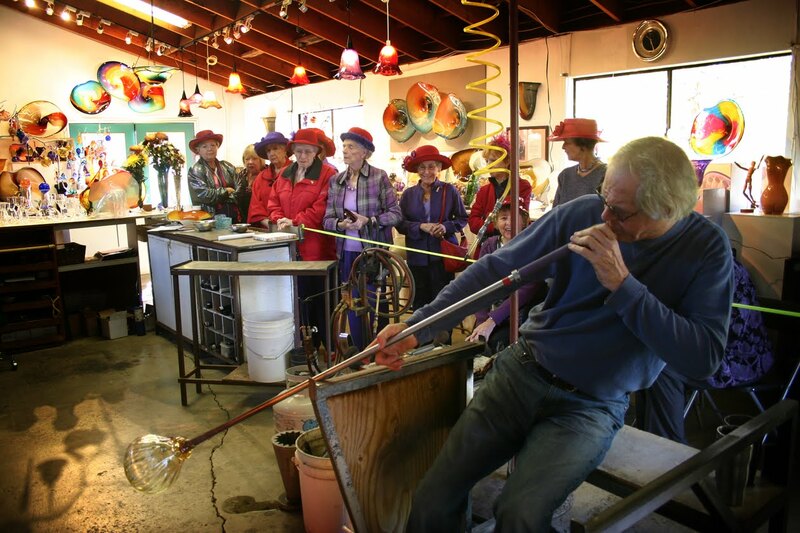 It is time for the Autumn Art Studios Tour! 77 artists in 51 locations - November 13, 14 , 15 from 10 to 5. Come visit our studio! We have maps and tickets or you can first preview the artists work and plan your tour at the ARTS Buiding. 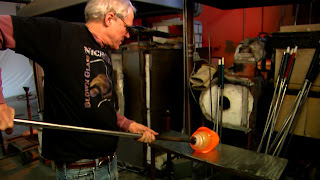 Watch Rick blow platters from 10 to 2 and Matt blow goblets from 2 to 5. Our neighbor wineries, Fawnridge and Vina Castellano, are open also for tasting. 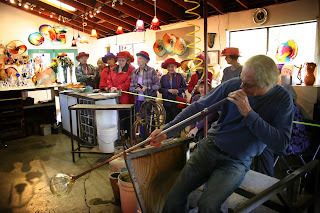 Enjoy a beautiful weekend at the peak of Fall color and come see us at Nicholson Blown Glass!